The Tharsis region contains both large volcanoes and extensive lava plains. Most of the channel features in this region were formed by the flow of lava rather than the flow of water. Tectonic processes are also common and many linear depressions were created due to stresses in the Tharsis area as the surface expanded and lava forced its way to the surface to form volcanoes. 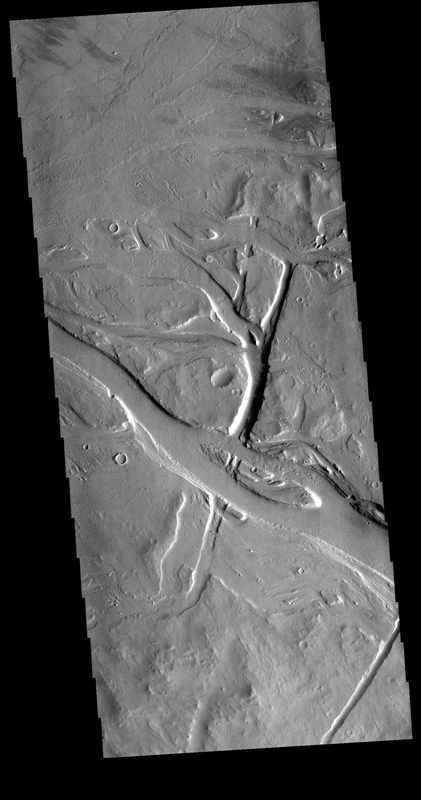 This VIS image is located north of Jovis Tholus.